Studying MBBS in Russia gaining popularity among Indian students, because the Russian Federation has a good number of the best medical Universities in World. The Russian government has subsidized education. Tuition fees for MBBS in Russia are very nominal and affordable as compared to other countries because it is subsidized by the Russian government. Average fees for MBBS in Russia is approximately 3000 – 5000 US Dollars per year. Low-cost MBBS fees and High Quality of Education is one of the main reasons for Indian students to choose Russia for MBBS study. Russian MBBS colleges are recognized by MCI and WHO, they opened a new avenue for Indian students to study MBBS in Russia. Thousands of doctors are already practicing in India who studied MBBS from Russia. Thanks to their listing within the World Health Organization, students passing MBBS from Russian medical Universities are eligible for the MCI screening test in India. The best thing about MBBS study in Russia that there is no entrance test for admission in Russian medical universities and tuition fees for MBBS in Russia are affordable for Indian Students”. Studying MBBS in Russia is considered it’s standard one most advanced one. Compared to European countries the level of MBBS study in Russia is well developed and advanced. 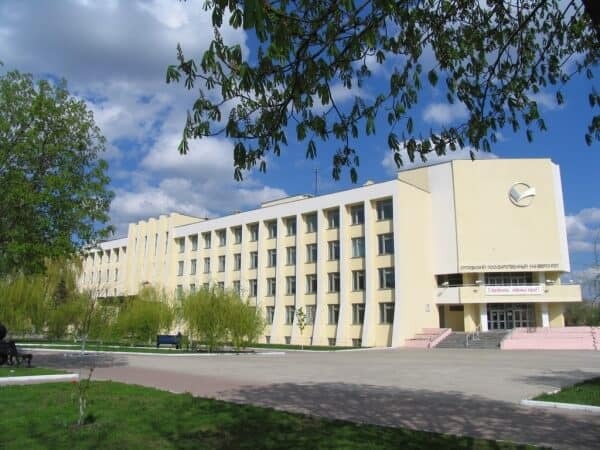 About 30 positions are occupied by the top Russian Medical Universities in World Ranking. The Education pattern is remarkable in MBBS colleges in Russia. A medical study in Russia is subsidized by the Education ministry of Russia up to 50% which makes it cheaper to study MBBS in Russia than other countries. There is no donation for taking admission for MBBS in Russia, the admission procedure in Russian medical colleges is very systematic and easy. Every year a large number of Indian students preferred to study MBBS in Russia. Living Cost: Living expenses in Russia are significantly less as compared to western countries. In addition to MBBS course fees, to live in Russia usually a sum of 100 – 150 US Dollars (6500 – 10000 Rupees) per month is enough for a student for food and to pay some extra costs. Because of lowest fees structure and affordable cost of living, study MBBS in Russia is very popular among Indian students. 2nd & 3rd yr. Fees 3500 US Dollars/yr. 200 US Dollars/yr. 3700 US Dollars/yr. 2,40,000 Rupees/yr. 4,5,6th yr Fees 3300 US Dollars/yr. 200 US Dollars/yr. 3500 US Dollars/yr. 2,28000 Rupees/yr. 2nd to 6th Yr. 4500 USD/yr. 300 USD/yr. 4800 USD/yr. Rs. 3,26,000/yr. 2nd to 6th Year Fees 3,000 USD 500 USD 3,500 USD/year 2,30,000 Rupees/yr. Tuition Fees also can be paid on a half yearly / yearly basis as convenient to the parents. 2nd to 6th yr 3500 USD/Yr. 100 USD 3600 USD Rs.235,000/ Yr.
Hostel Fee – Includes Accommodation, Bedding, Furniture, 24-hrs Electricity, 24-hrs Gas in Separate Kitchen, 24-hrs Hot & Cold water supply and Centralized Room heating system. 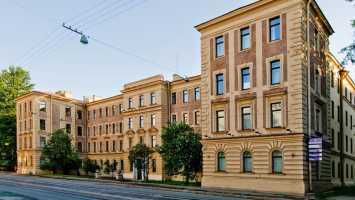 Academic Year: Russian medical universities start their academic year from 1st September. There are 2 semesters in an educational year, September to January month and February to June. 1st-semester examinations are held in January month whereas second-semester exams are held in June. Winter vacation is from 20th January. to 7th February. and summer vacation is from 15th July to 31st August. Eligibility Criteria: To study MBBS in Russia student must have passed in the subjects of Physics, Chemistry, Biology English individually and must have obtained a minimum of 50% marks taken together in Physics, Chemistry, and Biology , Last two years of study (11th & 12th) comprising of Physics, Chemistry, Biology and English . He/she shall complete the age of 17 years on or before 31st December, of the year of admission in MBBS course. TATKAL PASSPORT SCHEME for urgent Passport. For any other query and clarification, please feel free to contact on Mob. 91-9810717555. Please be informed that from the world over, there is a large number of applicants who want to study MBBS in Russia and the seats are limited and hence admissions are given strictly on a first come first served basis and depend on the final discretion of the university as per the availability. Therefore, is it better to apply early to get admission in top medical universities of Russia. NOTE: Many agents promote “Subsidized Fees” with the Russian medical universities. In this scheme, they ask the students to pay 6 years MBBS fees together with a discount. CEC always warns the student that there is no such system by the Russian Medical University having “subsidized fees”. The amount would be kept by the agent and ultimately you would end us in trouble when they do not pay the fees to the university on your behalf. Disclaimer: Continental Educational Consultants would like to remind you that fees in Indian Rupees may not be accurate and may differ from the actual price. Exchange rates are volatile and are subject to change. Check the Exchange Rates before initiating the admission process.